The high court offered no explanation for its 4-2 decision that denied a rare bid by Illinois’ attorney general and a special prosecutor to get the justices to toss a lower court’s sentence. One judge issued a strong dissent and one partially dissented. Speaking to reporters Tuesday, Illinois Attorney General Kwame Raoul stopped short of criticizing the court, though he went out of his way several times to note the four justices in the majority didn’t offer a word of explanation for why they ruled as they did. An appeal to the U.S. Supreme Court doesn’t appear to be an option, including because the core legal issues have to do exclusively with Illinois law. Raoul acknowledged that his office had run out of options. Van Dyke’s lawyer, Dan Herbert, heralded the ruling, saying he hoped it “will strike a fatal blow to the political exploitation” of McDonald’s death. Raoul has previously denied that politics ever entered into the decision to push for a new sentencing hearing. The February request for a sentencing do-over didn’t say explicitly what many Chicago residents have said — that Van Dyke’s punishment didn’t match the severity of his crime. It focused instead on legal arguments around precedent and sentencing calculations. Justice P. Scott Neville Jr. noted in his dissent that Gaughan pointed solely to the dissenting opinion in the court’s 2004 ruling when he sentenced Van Dyke. In his seven-page explanation, Neville added that allowing a sentence that’s not grounded in proper law undermines the public’s sense of justice. 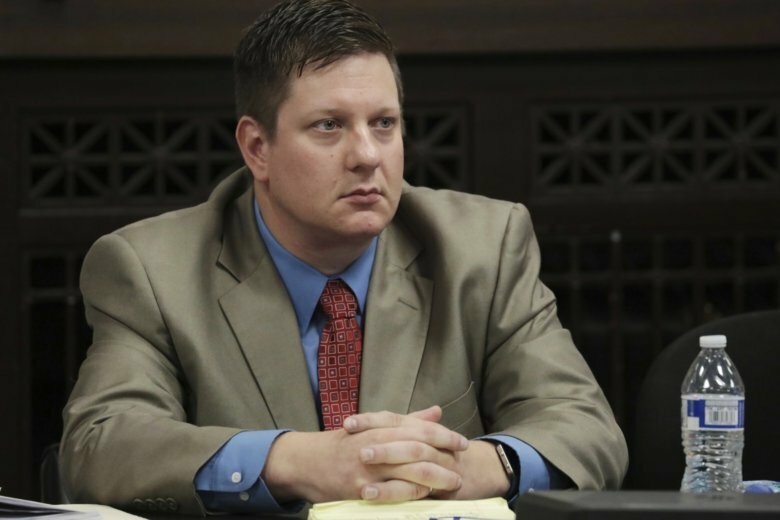 Check out the AP’s complete coverage of the fatal shooting of Laquan McDonald.